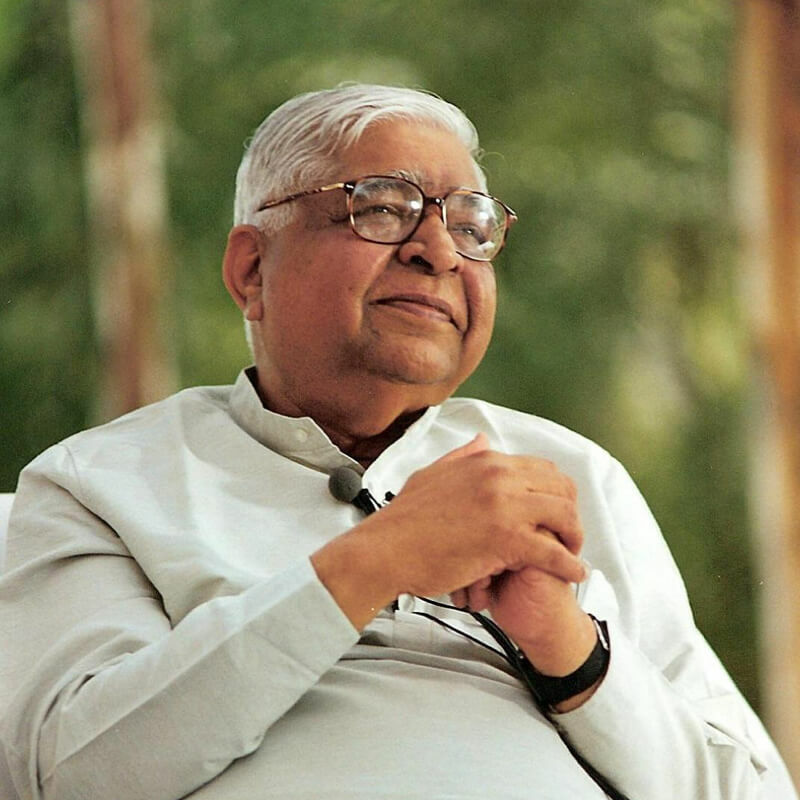 In the early days of the spread of Dhamma, year after year, I continued to give Vipassana courses throughout India. Time passed. During this period the meditation centres of Dhamma Giri, Dhamma Thali and Dhamma Khetta were established. By now the number of western students had increased greatly and they were very persistent in inviting me to teach Dhamma in their own countries. But what could I do? I was helpless because my Burmese passport was not endorsed to travel outside India. Even my appeal to General Ne Win had proved fruitless. Therefore I again contacted my good friend U Thi Han in Yangon but the government policy on passport endorsements had not changed during these past years. He advised me to take refuge in Dhamma, and make a Dhamma adhitthāna (strong determination). This was the only way left to be successful. I saw that Vipassana was establishing roots in India, the country of its origin. Now it was necessary for me to take steps to fulfill the other Dhamma desire of my teacher Sayagyi U Ba Khin: to spread the Dhamma around the world. For this purpose, I felt I had to go to foreign countries to carry on the Dhamma mission. This apart, a situation occurred that caused great confusion in Western countries and drew my attention and urgency to go there to spread the Dhamma, in its pristine purity, as taught by my teacher. Some of my American students had taken a few Vipassana courses with me in India, and before getting fully ripened in the technique, out of over enthusiasm, they had established a Vipassana centre in the USA. Due to their own weakness in Dhamma, these students had very wrongly stopped giving due importance to sīla, the foundation for Vipassana. Secondly, they had made teaching the Dhamma a profession, a means of livelihood, and this is totally against the tradition of pure Dhamma teaching. Thirdly, they had started mixing Vipassana with other techniques, and had thus polluted and diluted the purity of Dhamma. Seeing all this, a great sense of urgency arose in my mind to go to the West to teach Dhamma with the purity intact. In spite of the fact that the Prime Minister of the Myanmar government was a good friend, he was unable to give me endorsements for the countries I wanted to visit. So the only alternative left for me was to forgo my Myanmar nationality, accept Indian nationality, and acquire an Indian passport. Thus I could travel to any country in the world to teach Dhamma. I hesitated for an emotional reason. It is true that India is the land of my forefathers and is also the holy land of all the Buddhas. Therefore I greatly respected and honoured this country. But Myanmar is my motherland and definitely there is a special honour for Myanmar in my heart. There is a famous Sanskrit saying, "Janani Janmabhumisca Svargadadi Gariyasi," which says honouring the motherland is far superior to honouring even the celestial world. And mine was a special motherland where I was born not only once, but twice: first, I emerged from the womb of my mother and secondly, I came out of the womb of ignorance by practicing Vipassana. So, on one hand, there was this emotional pressure not to give up Myanmar citizenship, and on the other, there was the call of duty to fulfill the Dhamma desire of my teacher. "Whatever Dhamma service that I have given till now is totally free from any selfish interest and it has only been given with the sole motive of helping others. I have acted thus to fulfill the Dhamma wishes of my revered teacher. May my teacher feel free from the debt of Dhamma received from India. May I feel free from the debt of Dhamma I received from my teacher. It is only with this motive that I have given Dhamma service. These are words of truth and with the strength of these true words I leave the decision to Dhamma. If Dhamma wants me to carry on my Dhamma duties only in India then may I remain a Myanmar citizen, and if Dhamma wants me to travel the world for the spread of Vipassana, then at the completion of ten years of my Dhamma service in India, may I receive Indian citizenship." When the end of this ten year period was nearing, I submitted my application for Indian citizenship. I did this with the determination that if Dhamma wanted me to go around the world as an Indian citizen may it so happen. At that time, the thought arose that the geographical boundaries between countries were merely for political and business purposes. Dhamma cannot have geographical barriers. Definitely, I am not changing my nationality for any political, commercial or financial gain. Even if I adopt Indian citizenship I will continue the same Dhamma work around the world. My motherland Myanmar and my ancestral holy land of India will both feel honoured with the credit of spreading Dhamma. One country is where Dhamma originated, and the other is where Dhamma has been preserved in its purity. May both enjoy this honour. "My only aim is to spread Dhamma for the good and benefit of suffering humanity around the world. My love and feeling of gratitude and honour for my motherland will not diminish even a little by changing my nationality for this good cause." After submitting my application to the Indian government, I was quite confident I would soon obtain the citizenship. But my experience was that whenever an important step was taken on the path of spreading Dhamma, an unexpected obstacle always raised its head. But the obstacle could not stand for long. The obstacle this time: I was informed, later, that my application was stuck in the Intelligence Department of the government of India. I knew very well that some years before, the Intelligence Department had started making serious enquiries about myself and my activities. The Indian members of our family, specially two of my brothers and one nephew, were intensely involved in the Ananda Marga. This organization was looked upon very suspiciously by the government of India as its activities were designed to gain political power by violent means. During the days of Emergency both of these brothers were put behind bars for a number of days. So it was natural that the government was suspicious that perhaps I too was indirectly working for Ananda Marga, while conducting the courses under the name of Vipassana. I knew that the Intelligence Department of India had made exhaustive enquiries about my activities and a few officials had also interviewed me on this subject. Some of them had even attended a 10-day course in disguise. One such high official had revealed his identity at the completion of the course he had attended. He had told me that he was highly impressed by my selfless service and had seen for himself how this non-sectarian technique was spreading for the good of others. He also revealed to me that a few junior officials had made enquiries and had reported that my work was free from any ulterior motive. Now he said he personally had been able to observe this and he was fully convinced that it was faultless and had no connection with the Ananda Marga movement. But it was only at the time of my application for citizenship that I came to know that my file had not yet been closed in the Intelligence Office. Perhaps the top people in the Intelligence Department wanted to keep further watch on my activities for some time. Or because, although I had totally retired from all commercial activities, my sons were doing business jointly with the members of the family who were followers ofAnanda Marga. Maybe this was why they wanted to keep a watch on my activities for a few more years. But in spite of this gloomy situation, I was fully convinced that because of the adhitthāna I had made, I surely would attain Indian citizenship and an Indian passport as soon as the period of ten years service was completed. I could then freely go to foreign countries to teach Dhamma. With this strong confidence I had given consent to my students in the West to arrange 10-day Vipassana courses in Guyon, France, from the 1st to the 11th of July, in Plage, France, from the 14th to the 24th of July, in Montreal, Canada from the 26th of July to the 6th of August, and then in Godalming, England from the 9th to the 20th of August, and from the 21st of August to the 1st of September. Thus I had committed myself to five Vipassana courses in the West and sites had been reserved for them. The biggest problem was the first course in Guyon, France, where the meditators had booked a very costly youth hostel, and had paid the whole rent in advance. Most of those who had registered to join the course were from the higher strata of society. One of them, from Switzerland, was a diplomat. All of them had arranged their holiday to cover the course dates. If the course could not be given on schedule the organizers would have to face great difficulties. What could be done? The anti-Dhamma forces had erected barriers to prevent the spread of Dhamma through the world - the Myanmar government was not able to give endorsements in my passport due to their strict policies, and the Indian government was not giving me citizenship. My application was stuck in Delhi. There seemed to be no hope. The only confidence I had was from the Dhamma adhitthāna that I had taken with the base of sacca kiriyā. I had great confidence that the forces of Dhamma would ultimately help. What could be done? The anti-Dhamma forces had erected barriers to prevent the spread of Dhamma throughout the world - the Myanmar government was not able to give endorsements in my passport due to their strict policies, and the Indian government was not giving me citizenship. My application was stuck in Delhi. There seemed to be no hope. The only confidence I had was from the Dhamma adhitthāna that I had taken with the base of sacca kiriyā. I had great confidence that the forces of Dhamma would ultimately help. The 1st of July - the day the first course was due to start in France - came nearer and nearer. Days passed. Just one week to go. There seemed to be no light at the end of this dark tunnel. There was no possibility of getting Indian citizenship in time, and even if I did, it would be impossible to get a passport in time. There are many lengthy formalities to get a passport. It seemed I would have to cancel that first course in France, though I knew that it would be a great disappointment to my students, and they would also have to bear great financial losses. The worst part was that they would lose confidence in me. I had been telling them, "Believe me, the course will be held on schedule." But now, what could be done? In this situation, time was melting away. My Dhamma adhitthāna had been: "When I finish ten years of Dhamma service in India, may I get the opportunity to teach Dhamma beyond India." On the 22nd June, 1979, these ten years were completed. The 23rd, 24th, 25th, and 26th also passed away. A feeling of helplessness increased. Perhaps the Dhamma did not want to use me as a medium for the spread of the work around the world. "Well, leave it to Dhamma. Let it happen as Dhamma desires. If Dhamma wants me to limit my service to India, may it be so." In this frame of mind, on the next day, the 27th of June, I got a call. It was a happy shock. A government official phoned to say that the citizenship papers for my wife, Mrs. Ilaichi Goenka, and myself, were ready. We were asked to go to the Metropolitan Magistrate in the Esplanade Court of Bombay, and receive our citizenship certificates. The next day we both went there and easily received our certificates. A great hurdle for the spread of Dhamma around the world was now crossed. But there was still the problem of getting our passports, and in such a short time of just two days this was an impossibility. We could not reach France in time for the first course. Until now, we could not even apply for a passport. Now even if everything went rapidly, the passport would still take three to four weeks to be ready. But my mind was still not prepared to cancel the courses in France. I had left everything to Dhamma. "Let us see what Dhamma desires, and how Dhamma plans it to happen." As we came out of the Magistrate's Office with our citizenship certificates we saw our travel agent standing there. He had passport application forms in his hands, and he asked us to fill them out, which we did then and there. We were of course happy to have our citizenship, but there was still a doubt whether the courses in France could be given. With this uncertainty we returned home to another pleasant shock. The travel agent phoned and said that because of instructions from above, the passports would be issued the very next day. The 28th of June. The passports were in our hands. Now hope of conducting both the French courses increased. But yet, we needed a visa. By the time we received our passports, the French embassy was closed. The 29th of June. Only one day left now. Even if we could get the French visa, we still needed visas for U.K. and Canada. And then there are so many other formalities to go through for an Indian citizen before leaving the country. All in one day? But look how Dhamma works. All the closed doors were miraculously opened. Before the 29th of June was over, we had our French visas and had completed all the formalities required to leave the country. And our travel agent said that we may not need visas for the U.K. and Canada, as we were now citizens of a commonwealth country. Even if they were required they could be obtained from the respective embassies in Paris. It was thus we could leave Bombay by a flight on the night of the 29th of June. On the 30th, we reached Paris. From there, we went by car to Guyon and the course started on the 1st of July, just as scheduled. After that, one after the other all the courses were conducted very successfully. With a feeling of great satisfaction and gratitude to Dhamma we returned home. 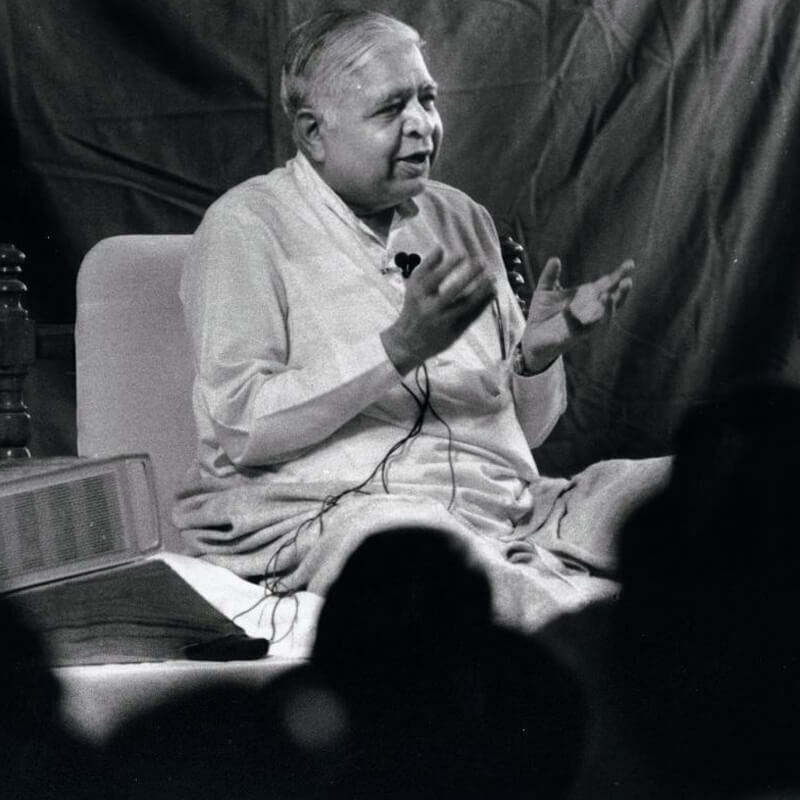 My confidence in Dhamma was strengthened by these wonderful events, and also my belief that I am only a medium - it is only Dhamma that is working. Dhamma has to choose some medium to get the work done. The mystery of receiving our clearance to travel in time became clear as we learned that my son Murari and his wife Vatsala had discussed my difficult situation with Mr. Radhe Shyam Murarka, who is the maternal uncle of Mr. Hari Prasad, Vatsala's father. Mr. Murarka promised Murari and Vatsala that he would try to help me. I knew that Mr. Murarka was an important person in the Congress Party. He had been a member of parliament for a number of years and was always chosen to lead the Public Accounts Committee because of his expertise on the subject. He was a close friend of Shri Morarji Desai who was then the Prime Minister of India. But in spite of all this, knowing fully well how slow the government machinery works, I was not confident that he could do much to help us in this matter. However, he took all the details of our case and went immediately to Delhi and met the Prime Minister, Shri Morarji Desai. Shri Morarji Bhai called for our file from the Home Ministry, and saw that the Central Intelligence Department note on it, that they wanted to make further enquiries before granting me citizenship. Morarji Bhai said that under such circumstances, he was helpless. Hearing this Mr. Murarka told him, "What further information will your Intelligence Department gain about this person? Do you think that we gave our daughter to his family without making any enquiries?" Hearing this, the Prime Minister was dumbfounded. He immediately decided in favour of my application, and also gave instructions that all the formalities for my foreign travel should be completed in time. It is so wonderful how Dhamma works, how Dhamma uses different people as mediums for different purposes. Dhamma arose in the minds of my daughter-in-law, Vatsala, and my son Murari, and they went and met Murarkaji. Murarkaji got some Dhamma inspiration and went to meet the Prime Minister Morarji Bhai. 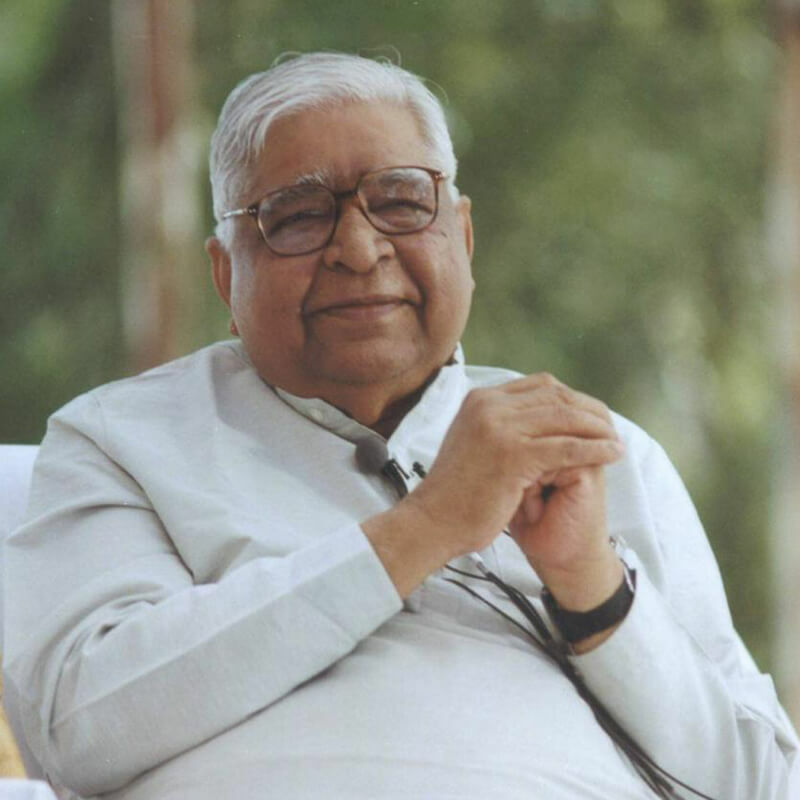 Some Dhamma wisdom arose in Morarji Bhai and thus my Dhamma adhitthāna could be fulfilled. These three Muraris, together, completed this Dhamma work which has proved so beneficial to people around the world. The Ganges of the pure Dhamma started flowing throughout the world as Vipassana. So many thousands began experiencing the benefit of Dhamma. My son, Murari, and my daughter-in-law Vatsala had already learnt Vipassana, but I very much wanted Mr. Murarka and Shri Morarji Bhai to also take this Dhamma dāna for their liberation from the cycle of birth and death. But now both of them are no more. The best that I can do is to send my deep mettā to them. May they both share all the merits that I acquire by spreading Dhamma in the world. May they both be happy, may they both be peaceful, may they both be liberated.